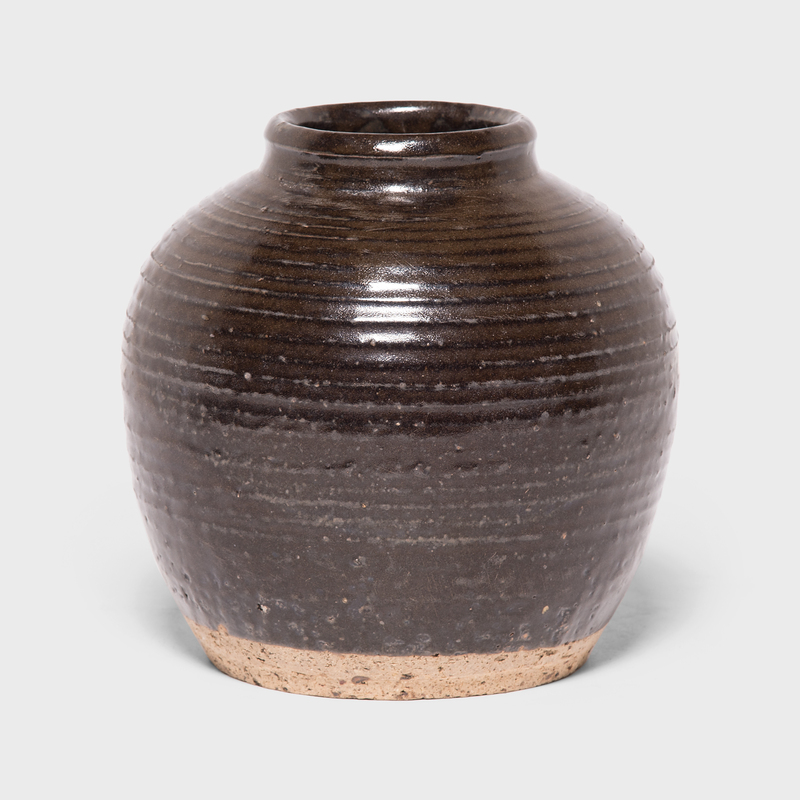 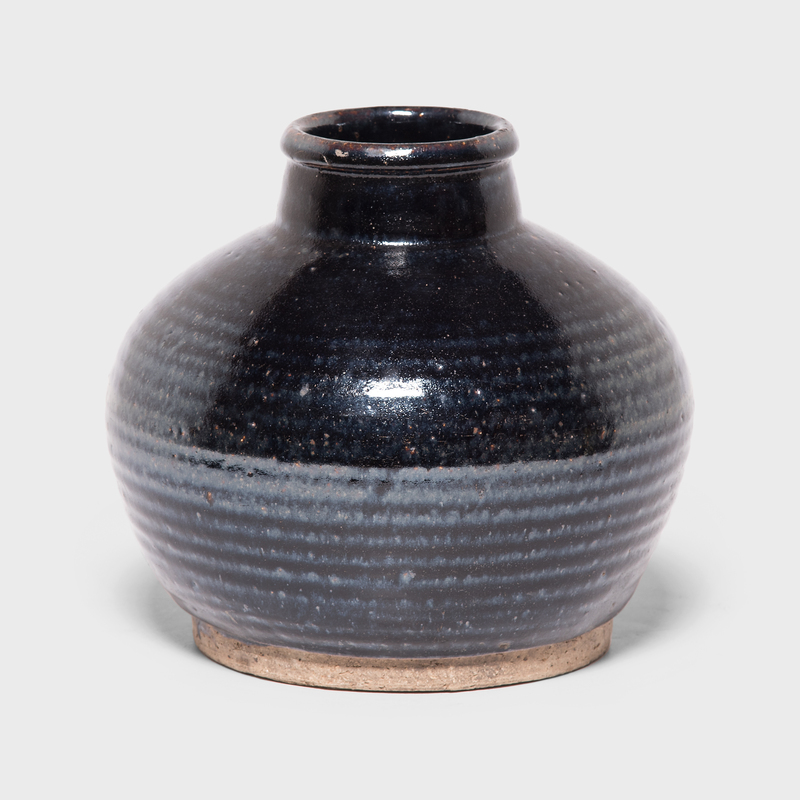 W: 3.5" D: 3.5" H: 6.0"
Cloaked in a heavily crazed glaze, this 19th-century blue-and-white square jar was originally used as a wine vessel for serving rice wine and grain-based liquors. Though it was created in the Qing dynasty, the pot is patterned with the reign mark of porcelain ware created under the rule of the Xuande Emperor, 5th emperor of the Ming dynasty. 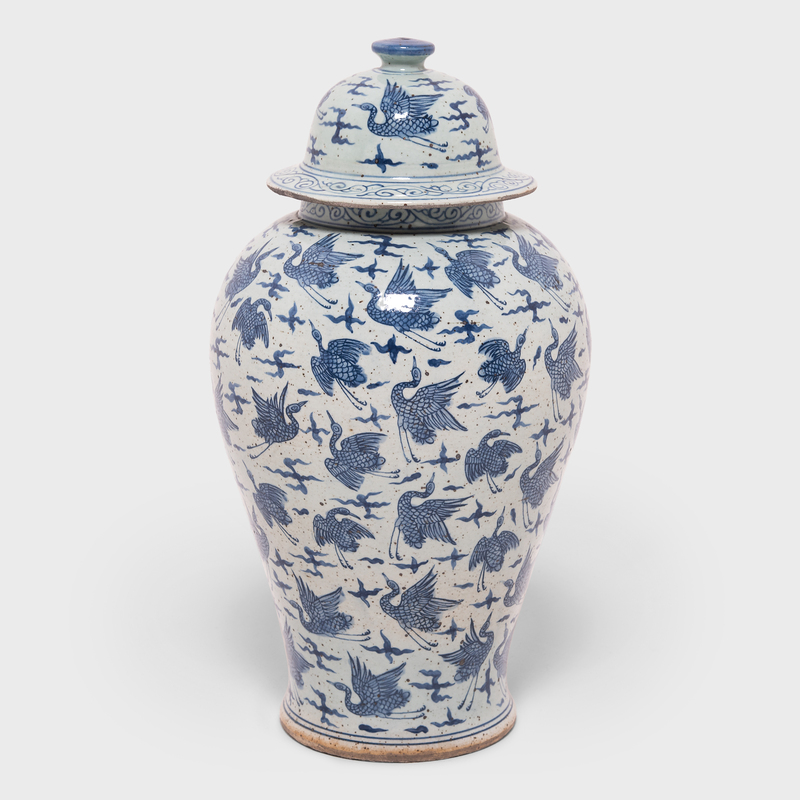 The Xuande era (1426-1435) is considered the golden era of blue and white pottery, and the reign mark is replicated here out of reverence for the craftsmanship of the earlier period. 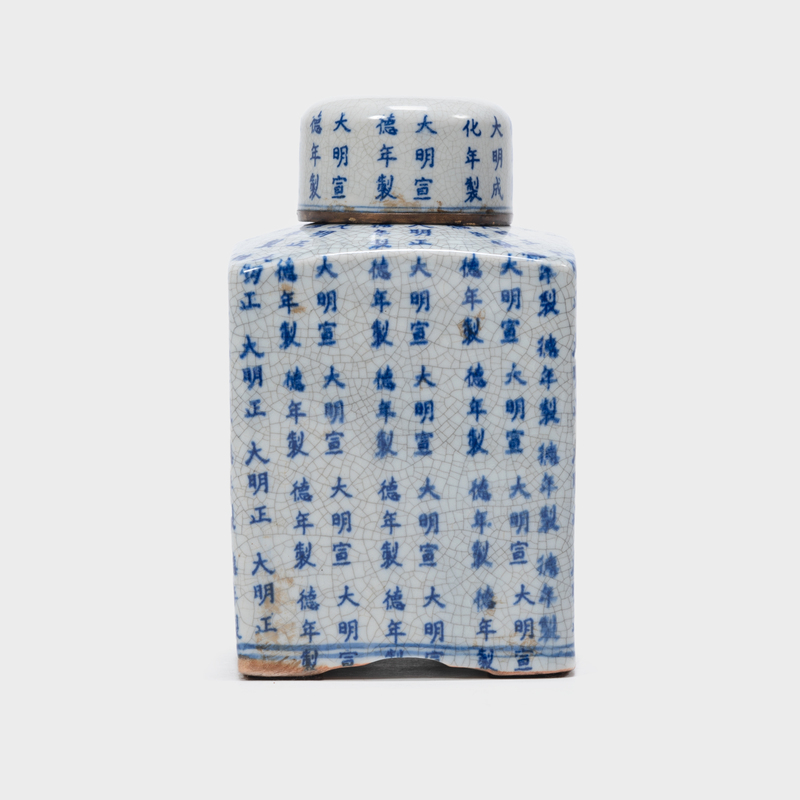 Used repeatedly on the exterior as a graphic pattern, the mark links the jar to bygone eras through the long tradition of Chinese blue and white porcelain.